Wow! 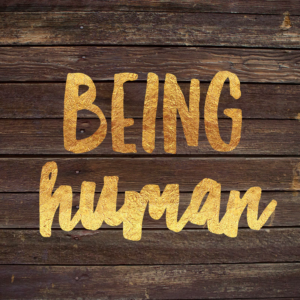 This thing called being human – it’s not easy is it?! Those of you who know me personally know that I am an exceedingly positive person – and interestingly enough when I completed the Gallup StrengthsfinderTM positivity came out as my top strength… Awesome! What I am focusing on here is being honest with ourselves. Sometimes life is tough. It’s OK to admit that. It isn’t negative. Sometimes it is just plain old tough. The whole point about being human and having a spectrum of experiences is to experience relativity. You know black and white. If you don’t experience black how can you truly appreciate white let alone all the shades of grey in between. Sometimes we feel we need to be perfect. Well here’s the news folks you are already perfect – you just don’t recognise it – yet! Allow yourself to feel fully, to embrace every experience on your path. You know in your heart that the old adage ‘what doesn’t kill you makes you stronger’ is true. Allow yourself to express who you are in relation to everything that is going on around you and in you. Give yourself space to get to know yourself. To get to know the real you – including your dark side. It’s OK. The more we suppress things that we don’t like about ourselves the more they can grow. Allow yourself to examine your deepest darkest fears. To bring them in to the light. To literally shine a light on them. In the well known phrase ‘feel the fear and do it anyway’. It is time. Time to stop pretending. It is time to embrace all of you. That magnificent human being that you are. Nobody said it would be easy. Think about it for a moment – how brave does that make you? You signed up for this ‘being human’ of your own free will. So recognise your own inner strength, courage and bravery. And whatever your beliefs there is always someone who can help. Allow yourself to ask for earthly or heavenly assistance – or both. Asking for help is after all a mark of strength in itself. It’s OK. Yes, Thanks to you I am now remembering i/we chose this life to live with all the black and white….. A new incarnation… which always takes inner strength, courage and bravery. A message I need to remember every day. Thank you for your encouragement in writing this.